Sound Decisions is an audio solutions provider at major sporting events throughout the world and creator of the patented SoundDec© earwig Radio. 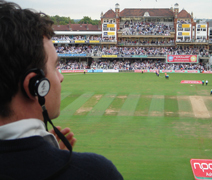 Our aim is to enhance spectator experience through our range of earpiece radios at various sport events such as cricket, rugby, snooker and motorsport, plus many more. SoundDec© is pleased to offer our RefTalk radio at major rugby fixtures and live commentary throughout the remainder of our global events calendar. We have experience of working in some of the worlds biggest and most spectacular events such as London 2012. Today's sporting spectator, familiar with television coverage, is believed to be a sophisticated consumer who is looking for more than cold seats, visual information and crowd noise. 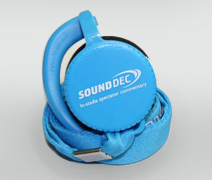 Whether you are a fan attending a match or looking to add something to your hospitality package, the SoundDec© earwig Radio is the ideal product to offer live commentary and updates direct to your ear, as well as being a great branding opportunity.